Forgotten is available exclusively on Kindle, however, more details will follow in the next few months about where you can buy the paperback edition. 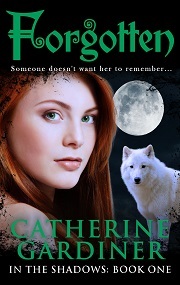 Catherine is hard at work on the sequel to this novel as well as other projects. Keep checking back for more information. Copyright (c) 2012-2013 catherinegardiner.com. All rights reserved.